The hydrangea, a flower native to East Asia, is a symbol of the rainy season in Japan, with many cities having flower parks and gardens where people can enjoy them. The village of Itadori in Seki City, Gifu Prefecture, famous for its Hydrangea Festival and Hydrangea Road, is a veritable treasure trove of these vibrant flowers. The Hydrangea Road is a 24-kilometer-long (15 mile) stretch of road with around 7,000 hydrangeas of various colors framing the view. The road starts at Itadori Village and winds its way up the mountains. The drive along the tight, twisting mountain road is breathtaking, with several places along the route to stop and take in the scenery. The majority of the hydrangea flowers in this area are a deep purple or violet, which is due to the acidic local soil. 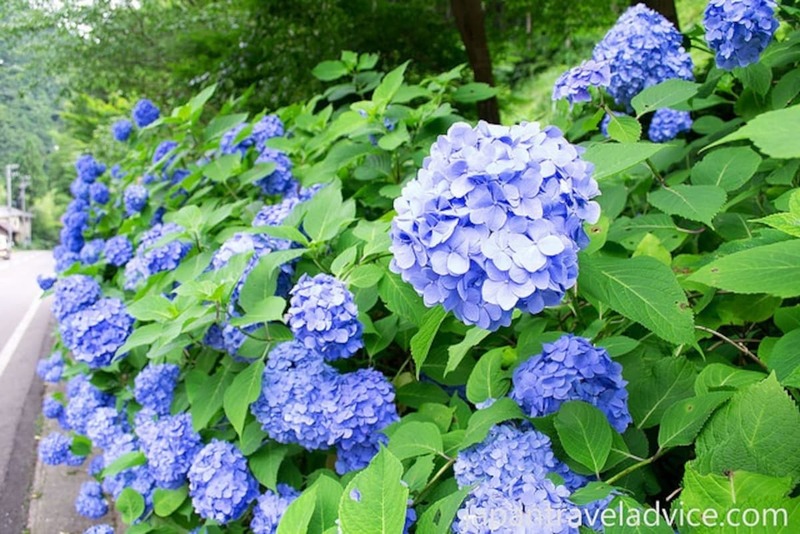 The precipitation of the rainy season is also beneficial to the flowers; the more rainfall the better, as the flowers' color deepens the more moisture the hydrangeas receive. The morning mist of the mountains makes them look even more stunning—the landscape almost pops with their vibrant colors. 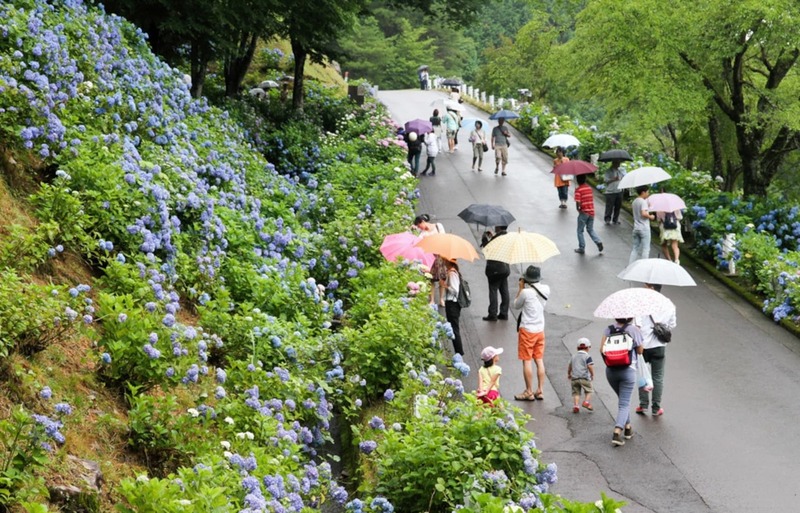 The Itadori Hydrangea Festival kicks off at Ajisai Mura ("Hydrangea Village"), located in picturesque Itadori Village. The area is filled with around 10,000 hydrangea flowers, with lush green mountains and the crystal clear Itadori River providing a stunning backdrop to the occasion. During the blooming season, the Ajisai Mura acts as a one-stop destination for all hydrangea-related events and festivities. The hydrangea bloom during the rainy season, which typically lasts from early June to early July. The 2017 Hydrangea Festival (Ajisai Matsuri) ran from June 7 to July 9, with the main activities taking place June 24 and June 25. Check the website below for updates on the 2018 festival dates.